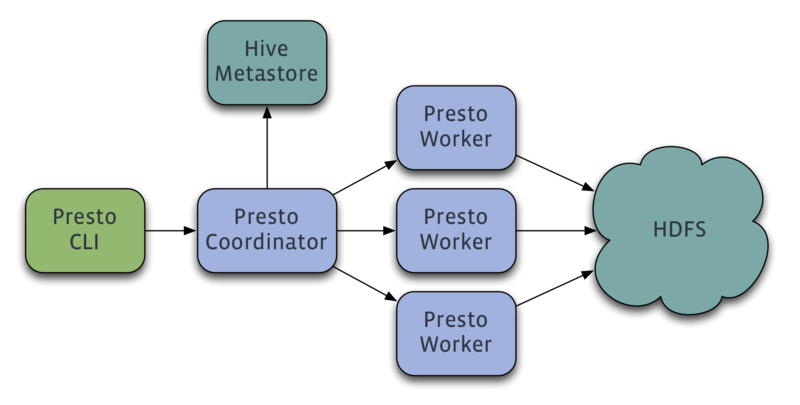 Presto is a distributed system that runs on a cluster of machines. A full installation includes a coordinator and multiple workers. Queries are submitted from a client such as the Presto CLI to the coordinator. The coordinator parses, analyzes and plans the query execution, then distributes the processing to the workers. Presto supports pluggable connectors that provide data for queries. The requirements vary by connector. The following file formats are supported: Text, SequenceFile, RCFile, ORC and Parquet. The TPC-H connector dynamically generates data that can be used for experimenting with and testing Presto. This connector has no external requirements. See Deploying Presto for complete deployment instructions. You can run queries using the Command Line Interface after deploying Presto.